Ultherapy uses safe, time-tested ultrasound energy to lift and tighten the skin naturally—without surgery or downtime. 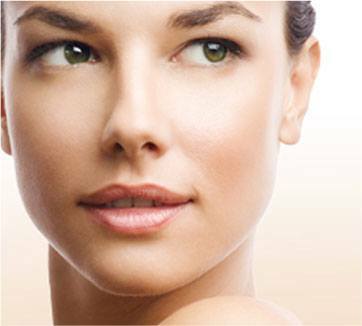 It is the only non-invasive procedure FDA-cleared to lift skin on the neck, under the chin, and on the eyebrow. Ultherapy harnesses the power of ultrasound to transform the brow, chin, neck and chest. Ultrasound, of course, has been used safely throughout the medical field for more than 50 years—and Ultherapy has been established as safe and effective in clinical studies and in over half a million treatments worldwide. The procedure stimulates collagen production by delivering focused ultrasound energy to the skin’s foundational layer typically addressed in cosmetic surgery—without cutting or disrupting the surface of the skin. Some patients see an initial effect right after their treatment, but the real results appear over 2−3 months as new collagen works to lift and tighten skin on the neck, chin, and brow as well as smooth the skin on the chest. While Ultherapy won’t duplicate the results of a facelift, it’s a clinically proven non-invasive alternative for those not ready for surgery—and can even be an option for patients who wish to extend the effects of cosmetic surgery.